Startups require a lot of promotion and marketing in order to start building brand recognition for their company name. However, with so much business competition, even the best promotional products and marketing materials can be ineffective at letting people know you are open for business. That is why it is so important to have unique, creative promotional products to promote and market your business. If you need some help gathering ideas, keep reading below for a list of the most creative promotional products that are sure to get your business remembered. Another creative promotional product to give away to businessmen, in particular, is a branded shoe shine kit that they can take on the go. A travel shoe shine kit is something that most professionals will not buy for themselves. However, it is something that they may be surprised to find they actually find a use for later on down the road. Just be sure to also include other promotional products for women too, because they may not find branded shoe shine kits all that useful in their day-to-day lives. Now this is one of the most useful promotional products you will find – a branded charging port with security alarm. Branded phone chargers are not exactly unique promotional products, as any event management professional will tell you. However, phone chargers with security alarms certainly are. These devices are perfect for charging devices in public places. They sound an alarm when the device is disconnected from the charging port. This is one of the most useful, creative promotional products you will find, and clients are sure to remember your brand fondly when you save their phone from being stolen. Branded food containers with utensils are also an incredibly useful promotional item that are not used nearly as frequently as they should be. Everyone wants to save money, and bringing your own lunch to work is one of the best ways to cut costs. Branded tupperware containers will definitely be used by your potential clients and customers, and will probably be used every day. Not only will they be reminded of your brand, they will be reminded of your brand frequently. This is an excellent way to get your name out there. Perhaps not one of the coolest promotional products, a lanyard, wallet, phone holder is still one of the most unique marketing products that potential clients can find use for. This is a particularly great idea if you plan to attend any trade shows or other marketing events where people need to do a lot of walking around with Uber buttons on their chest. People will grab these branded lanyards up, and they may even take them to future events as well, further promoting your brand to other businesses and potential clients. This is an excellent source of referral traffic. If you have a need for promotional products for trade shows and marketing events, this is one of the most unique and useful. Especially for B2B companies and networking business owners, stick notes organizers are a great giveaway. Almost every professional uses sticky notes. If they use your custom branded organizer, you will likely be sitting on their desk, carried around in their bag or shared with others, continuously marketing your brand. Undoubtedly, stick note organizers are creative promotional products that individuals might not realize the could use so much. If you own a small business start-up, promotion and marketing are two of the biggest concerns in the early stages. 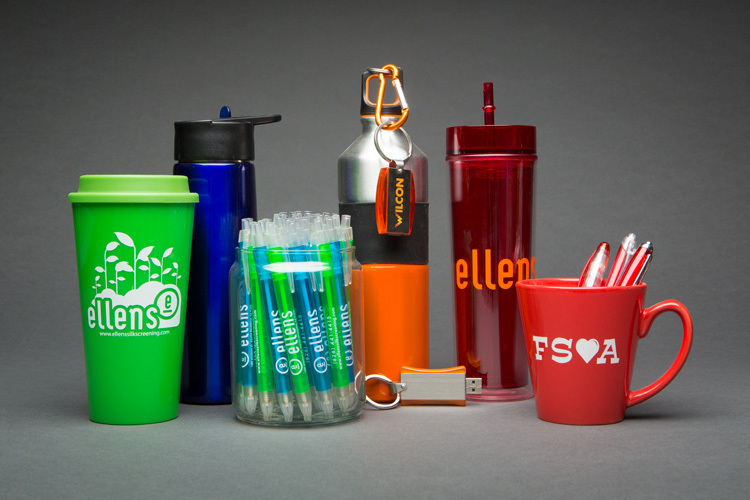 Creative promotional products will help your brand differentiation stand out among the competition. The useful promotional products mentioned above are not only creative and unique, they will also actually be used by your potential customers. This will help to get your name remembered, and provide useful brand recognition long-term, which will ultimately help your business to succeed.